Ciara and Future's son, Future Zahir, has made his modeling debut in a Gap Kids campaign. Baby Future stars in the fashion retailers new back-to-school campaign with mom Ciara tweeting that she was "holding back happy tears" when revealing his image on social media on Wednesday. Future seemed happy too, tweeting that his young son "did a great job." 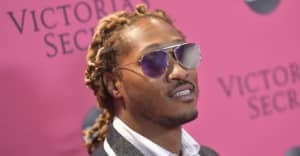 Future and Ciara's relationship has been strained in the period since they split in 2014. Ciara subsequently married football player Russell Wilson, with baby Future living with the couple. They welcomed daughter Sienna Princess Wilson in April of this year.